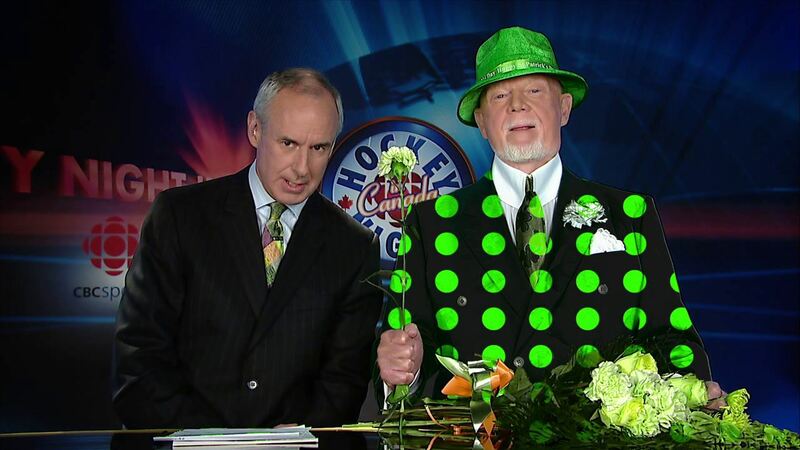 The best part of Don Cherry's outfit is that I'm not sure he knows it's St. Patick's Day. 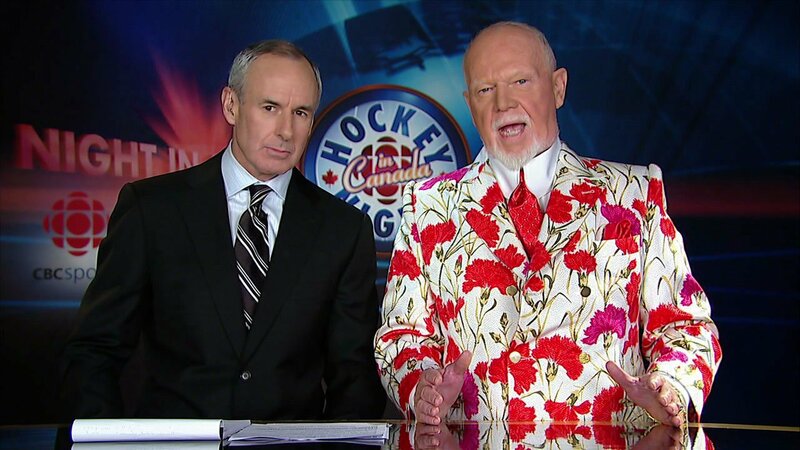 …but this time, he went out into the ACC on Military Appreciation Night or whatever to show it off. 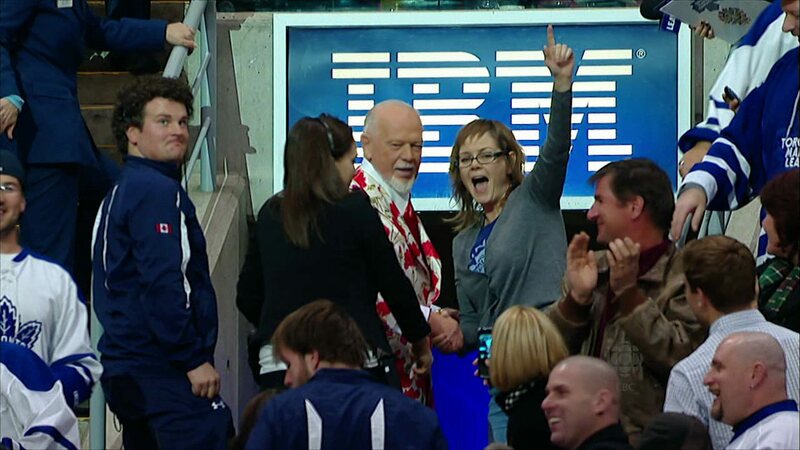 And look at the fan reaction. Yes. Yes, that’s why we’re back. 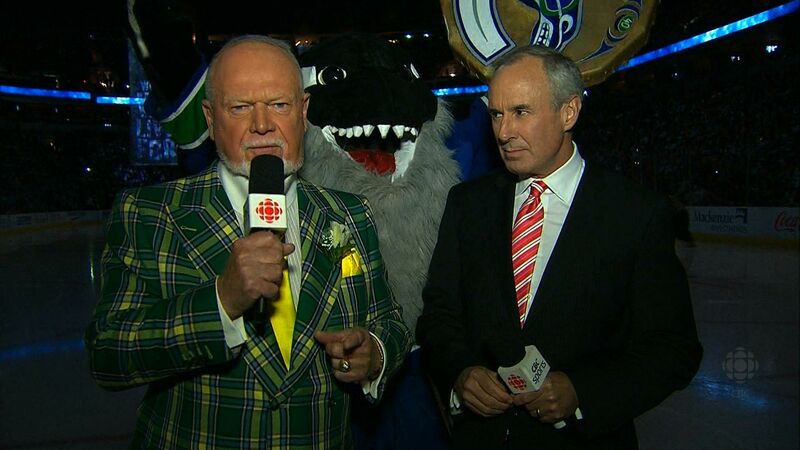 Thank you, Don. Thank you so much. 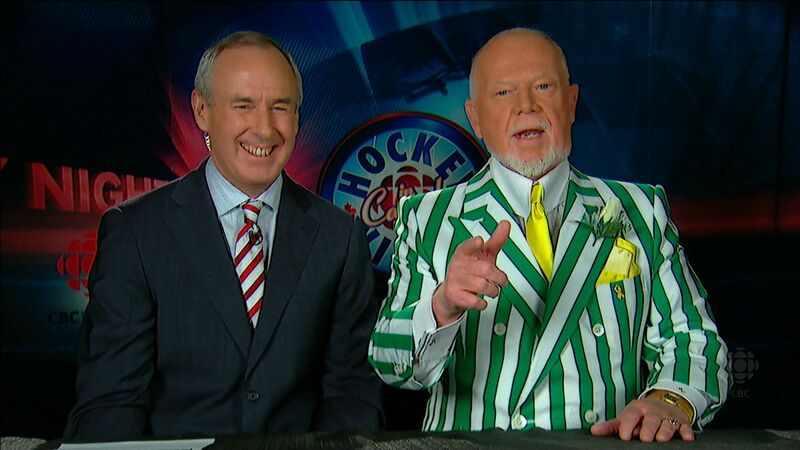 I’m not sure whether Don is going for some kind of green/Irish/Boston theme with this suit tonight, but I’d bet so. 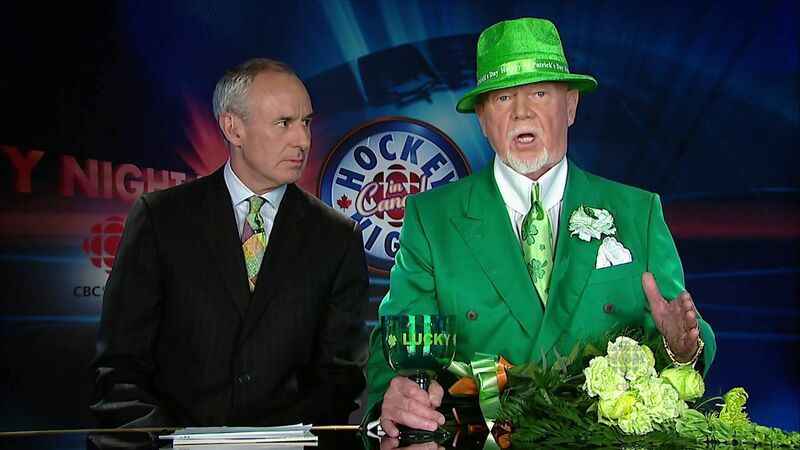 The gold of his tie and pocket handkerchief are kind of Bruins-themed, I suppose, but the green looks to be more Celtics than Bruins. But seriously, wow. 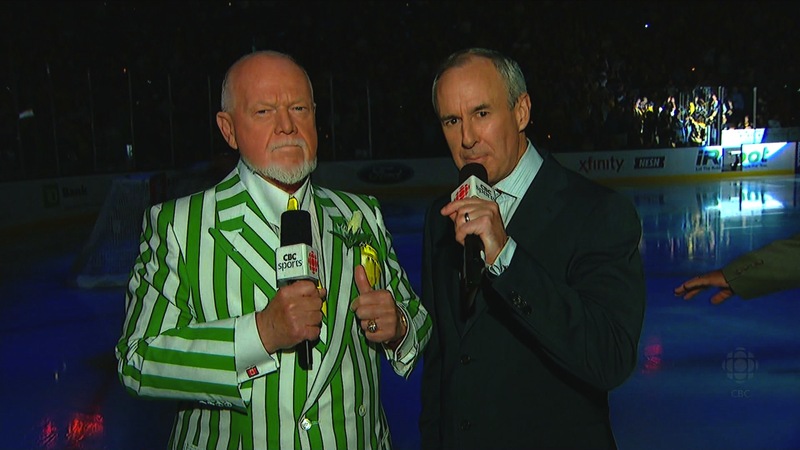 Nothing says “serious television commentator” like loud striped jackets—and Grapes is the master when it comes to serious television commentating. 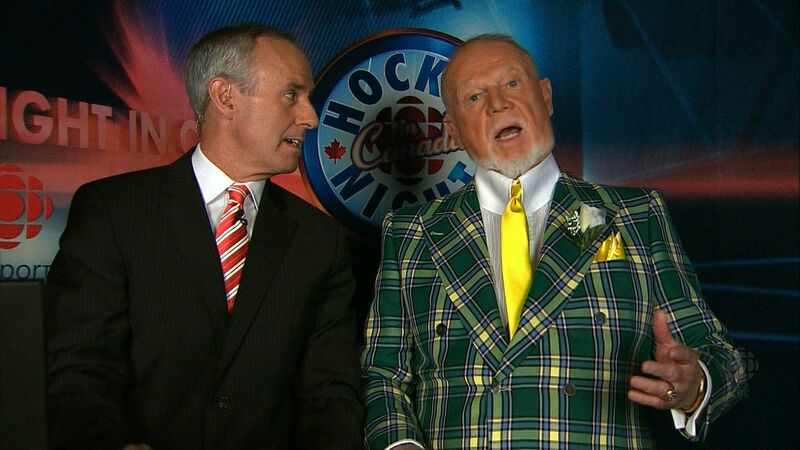 Note also the tacky Canadian-flag cuff links, which completely don’t match. Class. I love it! 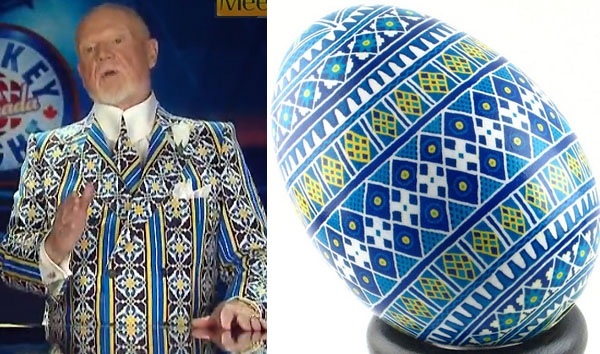 For the Vancouver Canucks vs. San Jose Sharks Western Conference Finals series, Don Cherry has been donning a tartan suit in what I think he thinks are Canucks colours—blue, green, and a bizarrely incongruous gold—and rocking out. 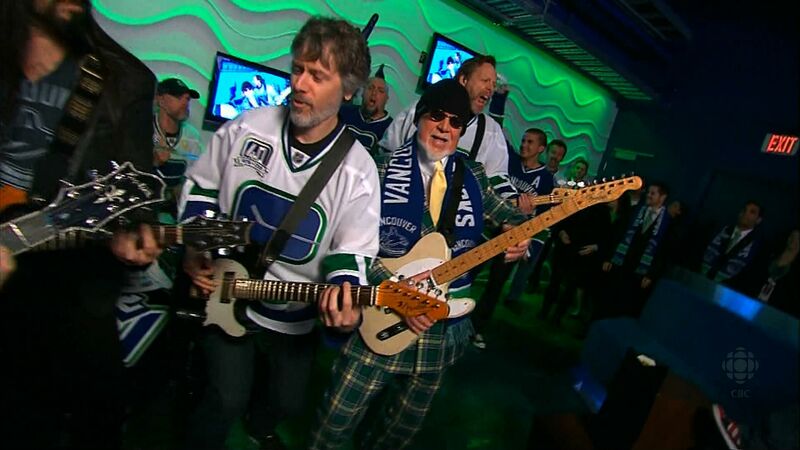 I mean, he isn’t just rocking that suit, or even pants, but he’s rocking out. 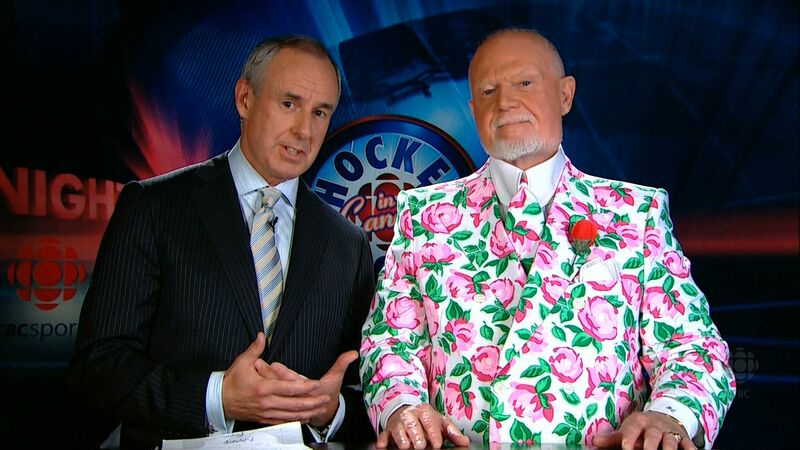 Grapes has worn this jacket at least twice by my count this playoff series. Enjoy. I know he does. 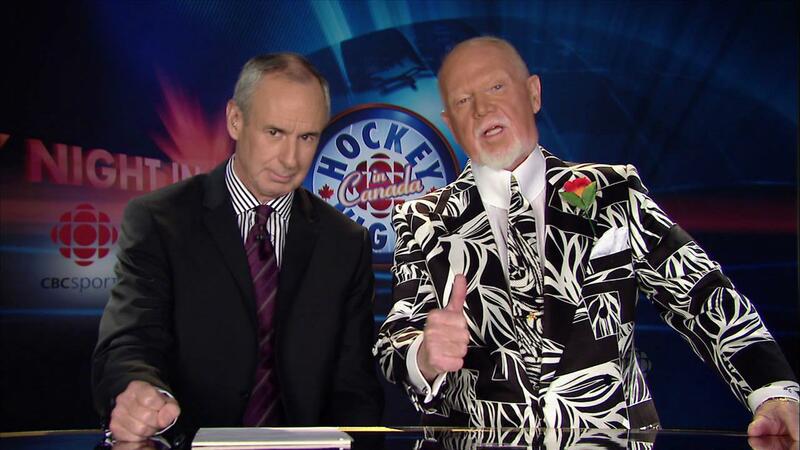 So we here at the Don Cherry Jacket Watch missed the Habs-Bruins game yesterday. 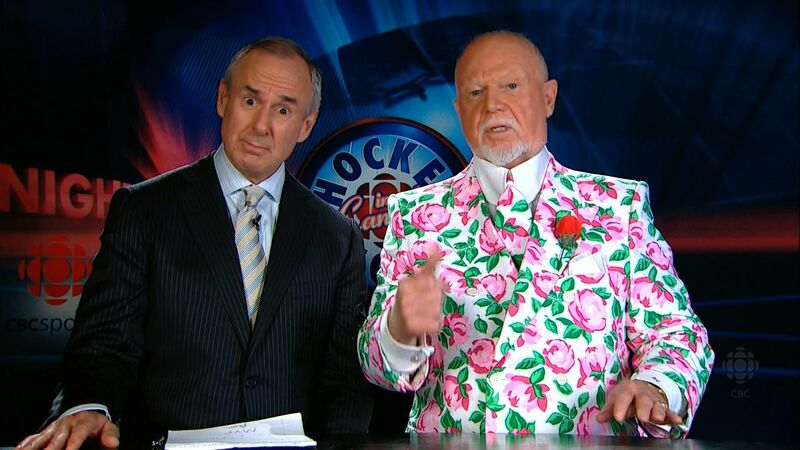 And judging from Grapes’s outfit, we’re kind of glad we did. Warning: prolonged viewing of the image below may induce blindness, seizures, racism, xenophobia, and in extreme cases, a complete inability to pronounce names.